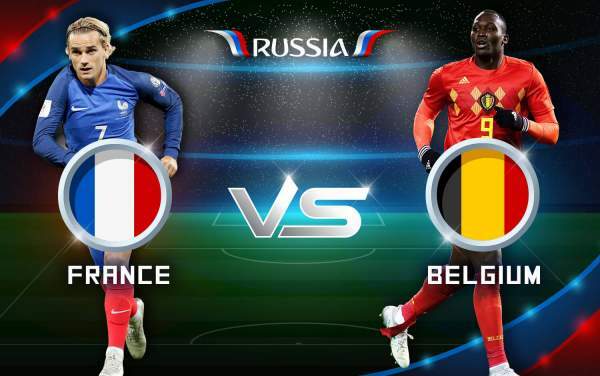 Today, France vs Belgium is the first semifinal match of the FIFA World Cup 2018 tournament. The semifinals started on Tuesday, July 10, 2018. Today’s game is to be played at 11:30 pm IST and venue for this battle is Saint Petersburg Stadium located in St. Petersburg. Now, it’s the time to watch the top tier talent in the tournament. There is a huge potential for plenty of goals. Belgium and France face each other off for getting a spot in the WC final. France has been one time World Cup champion. The winner will have to play either Croatia or England in Moscow on Sunday. The French star players Pogba and Griezmann will play against Belgian stars Hazard and De Bruyne. So, it’s surely going to be an intense, back and forth battle later tonight. Both the teams have been doing great so far. France turned out to be the topper in Group C and then defeated Argentina and Uruguay to book a seat in the semifinal round. On the other hand, Belgium finished first in Group H and then, won over Japan and Brazil to reach the semifinals. It’s no doubt that both the sides have got talented and experienced players. Belgium and France both are healthy with no major injury concerns. They are going to make their strongest playing eleven lineups to make a place in the final. These teams are the most talented ones left in the competition. They will play their best as both of them want to grab the trophy/title for their country. We are hoping to see a couple of goals today. The defense of France is a bit better than Belgium and would make the difference. France 3, Belgium 2.